What interpreting services do we provide? Our expert interpreting team provides a professional and friendly service. 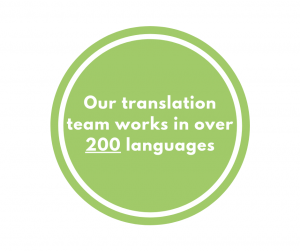 With the ability to work in over 200 languages, our multilingual interpreters can be hired to explain what’s being communicated in a conversation between two or more individuals who don’t share a common language. From business meetings to conferences, we provide an interpreting service for all occasions. When you need to give a presentation in another language or hold a discussion in another country, a multilingual facilitator will be able to explain what’s being said. If your business requires language support on a regular basis then telephone interpreting could be the solution for you. Ideal for multiple short conversations such as those held across many locations, telephone interpreting enables your team to communicate with customers and colleagues, whatever their native tongue. Our telephone interpreting service is available 24 hours a day, 7 days a week. With our on-demand service, 99% of calls are connected in under a minute. What’s more, there are no setup fees and no contracts. Our interpreters are highly qualified, and their work is constantly reviewed after every assignment. They work with all major European and world languages and are knowledgeable about the terminology and jargon specific to your field. They also work flexibly, so they can be with you wherever and whenever you need them. All our linguists for our national conference interpreting services have signed comprehensive confidentiality agreements or non-disclosure agreements (NDAs). Why choose our interpeting services? Cost-effective: Through using state of the art technology, we’re able to make the interpreting process much easier for our clients. Professional: Using the best qualified and most experienced native language interpreters in the industry, we’re able to deliver a great interpreting service for all our clients. 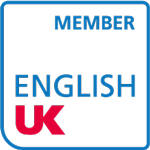 For a free discussion of your interpreting requirements please contact us on +44 (0)118 934 6000 or fill in our contact form.